Andean Superwomen “Okay, it´s time for affirmations! Find a partner!” Ginette Collin announces. The room becomes a flurry of movement as the artisans pair up and giggle. At first, some of the women are quiet, but within the next few minutes, the meeting is full of arms waving in the air, women striking power poses and voices calling out phrases like, ¨I have energy!” or “I am incredible!” in Spanish and Quechua. This exercise is one of the many in a new workshop series for financial literacy and life skill training, brought to us by PurpleLily founder and CEO, Ginette Collin.The PurpleLily program consists of eight activity-based workshops, including building confidence, financial literacy, motivation, presentation skills, and five healthy habits. Ginette worked with Mercedes Durand and Martha Zuniga from our team to adapt the workshops to the needs and culture of the rural Andean artisans and make the program sustainable. The program is designed in “layers,” so that concepts like building confidence, goal setting, and positive thinking can be applied to the financial training. In one workshop, the women were asked, “where does your money come from?” At first, answers were quiet, but then they increased in volume as the artisans responded, “Tourism!” “Awamaki!” or “My husband´s work.” They collaborated in groups to determine needs from wants, like rice or a fancy new hat. In another activity, the artisans divided into groups and were asked to draw a savings goal in the middle of a piece of paper with three bubbles showing what they needed and when they wanted to accomplish their goal. The papers were peppered with doodles like little stone houses and stick figures to represent a house for tourism, and bubbly alpaca drawings to show saving up for more livestock. The women giggled as they shared their drawings of spindly animals and tourists with fellow artisans. After a break of fresh bread and fruit, the tone changed as a picture of a smiling flower was projected onto the wall-- time to talk about positive thinking! The artisans were asked, “What do you think positive thinking is? The women gathered in small groups and discussed how having a positive mindset could lead to a more successful and happier life. Later, they listed what helps them feel positive and what they´re grateful for. “I am grateful for my children and husband,” one artisan said. “I am grateful for my health!” said another. This is the kind of lasting impact that we at Awamaki strive for--not only more empowerment in confident smiles and financial income for the artisans, but in their communities and families, for generations to come. “Now, we`re going to finish with power poses! Make some room!” Ginette calls over the artisan´s chatter. The women laugh as they find a spot, but then they become silent. They make a stance, put their hands on their hips, and raise their head high. The room is full of Andean superwomen. They are not only our heroes, but they are their own. 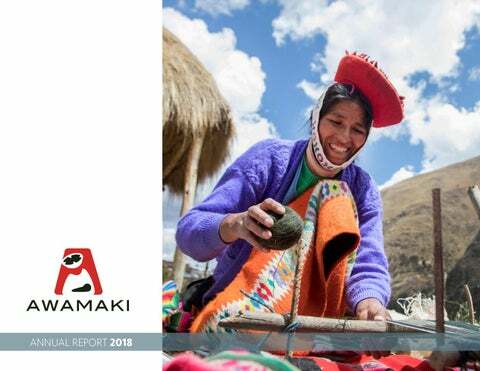 Note on financial statements: The Asociacion Civil Awamaki is a Peruvian non-profit civil association responsible for carrying out womenâ&#x20AC;&#x2122;s empowerment programs in Peru. These statements do not include the financial activity of Awamaki U.S., our partner organization that is a 501(c)(3) in the United States. 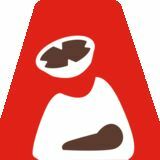 Read on to learn about Awamaki's accomplishments in 2018.